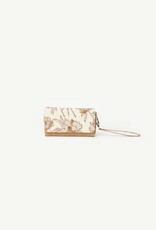 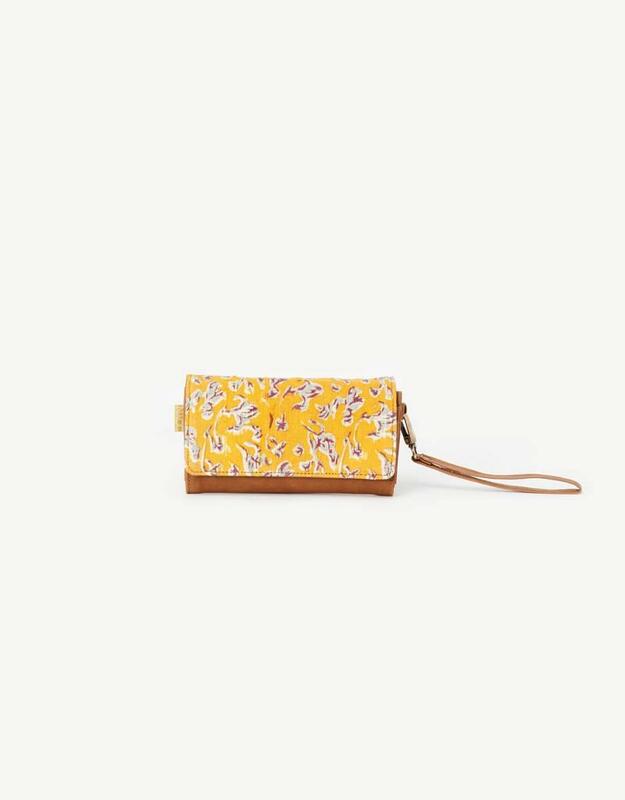 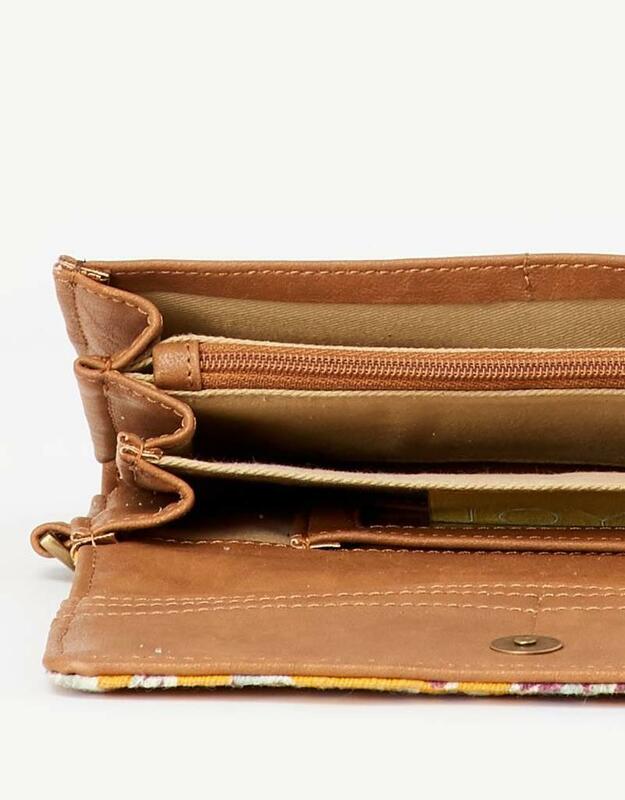 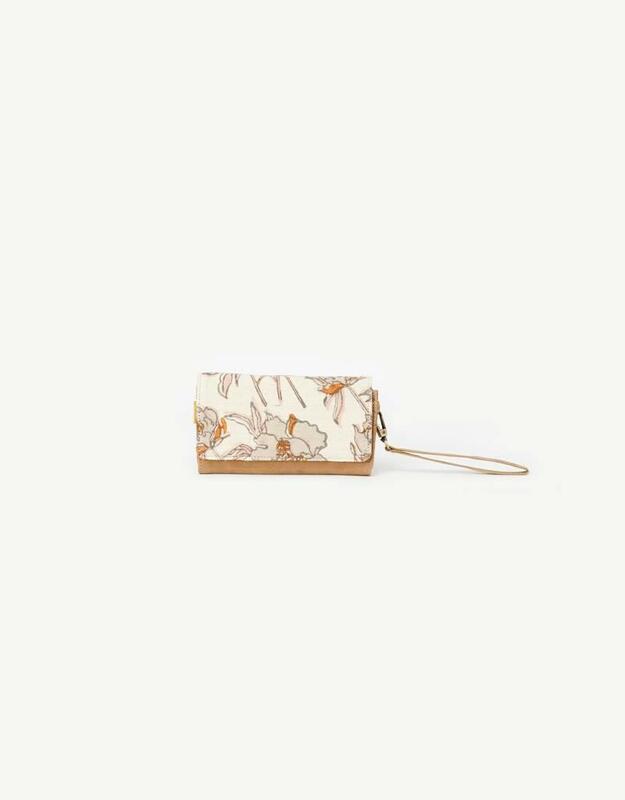 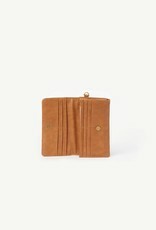 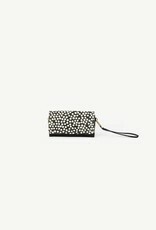 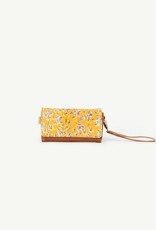 Whether paired with a tote or handbag or hanging from your wrist while on the go, this wallet will not disappoint. 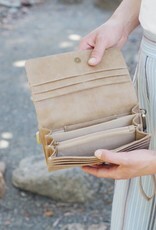 Interior partitions to hold cards and currency. 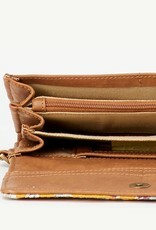 Includes 10 card slots, 1 ID window slot, 1 interior zipper pocket, 3 partitions, and 1 exterior zipper pocket. 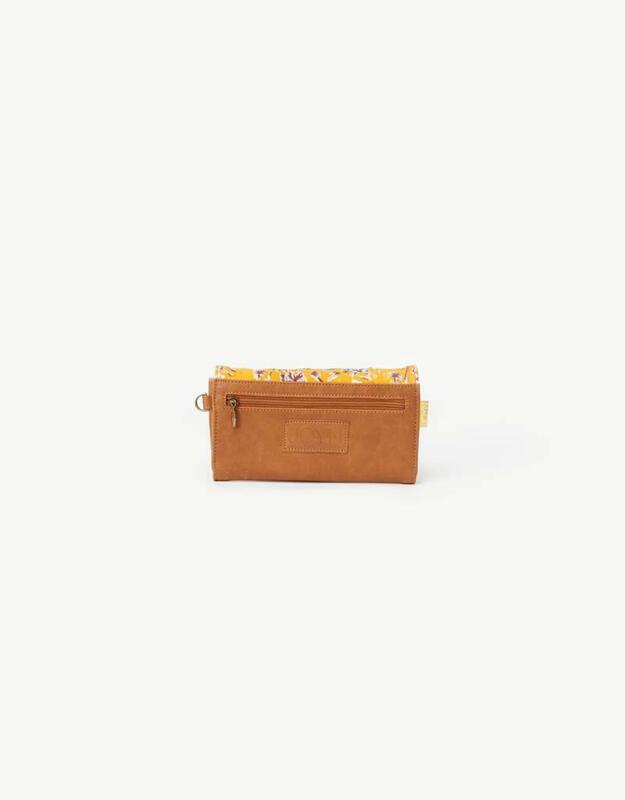 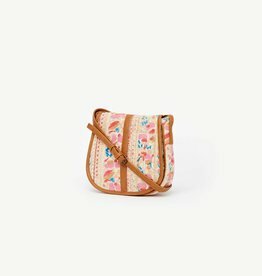 Detachable vegan leather wristlet. 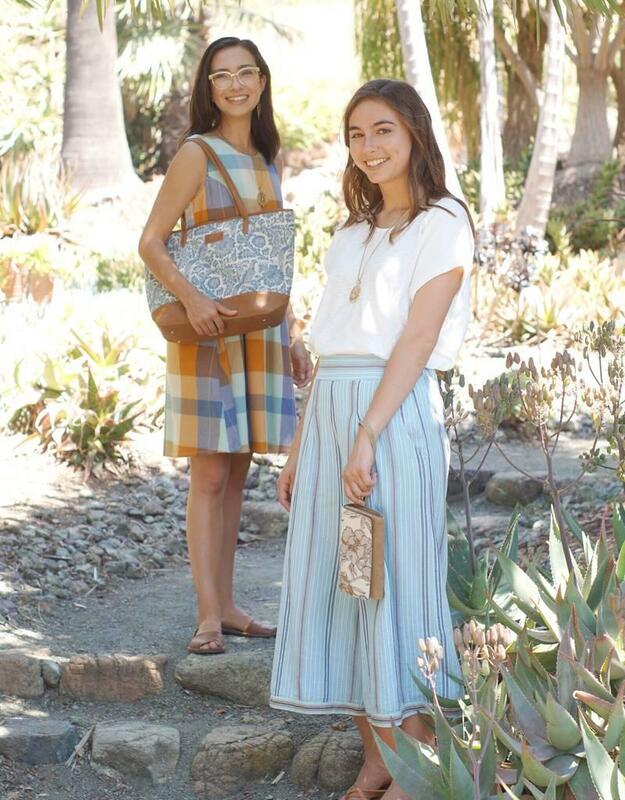 Learn more about Joyn artisans. 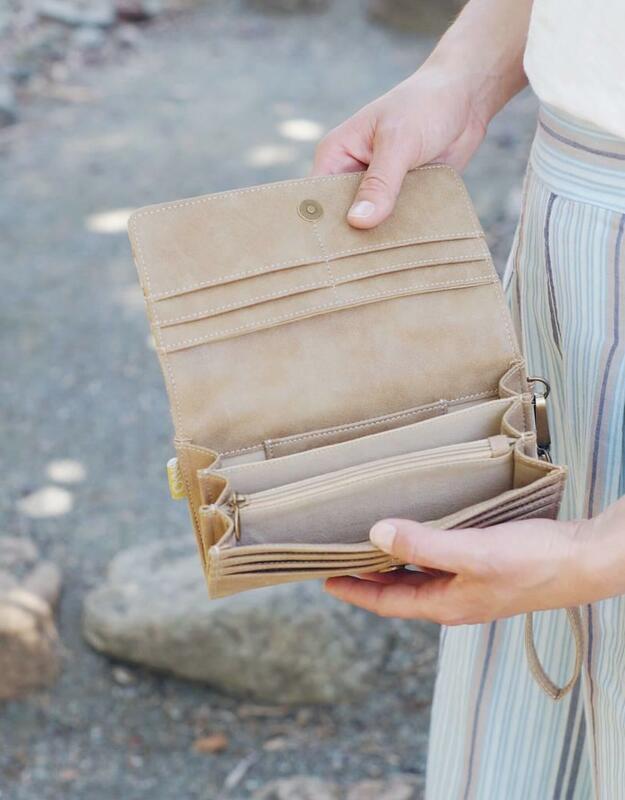 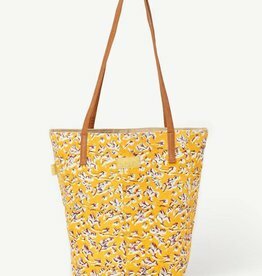 The Bita is the perfect on-the-go bag for anyone! 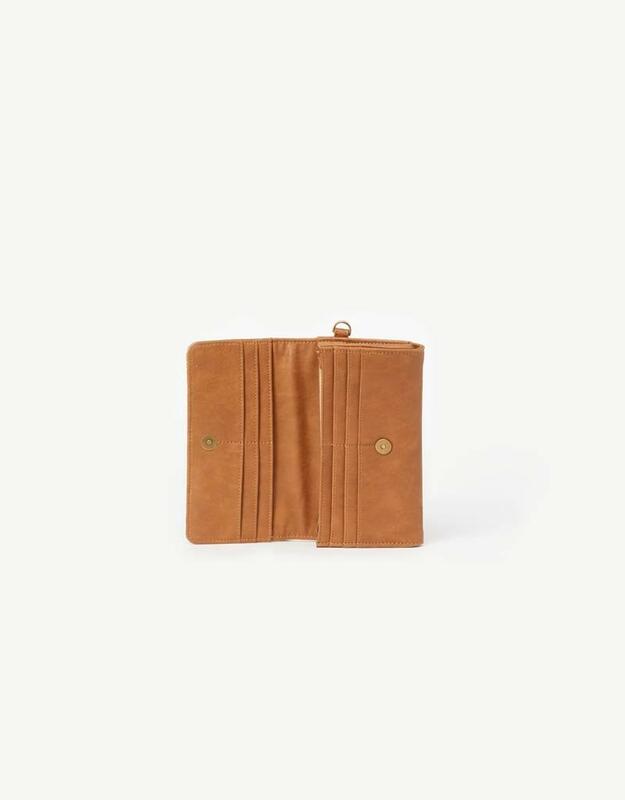 Handmade in India.